Baggy and warm clothes don't mean a compromise in style. These four jackets will keep you warm and fashionable this season. 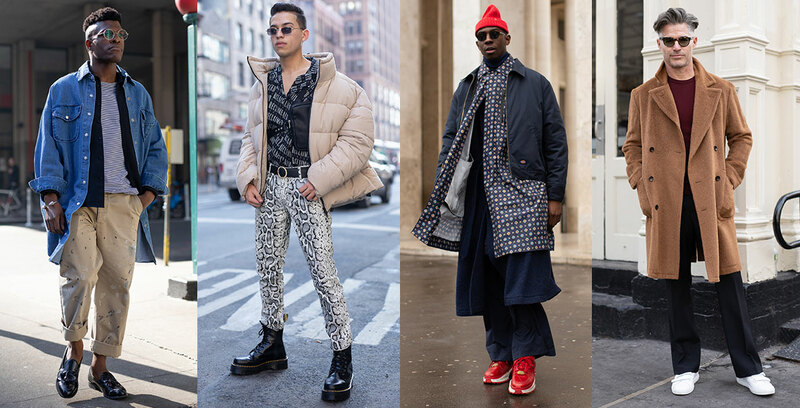 The jackets that are trending for 2019 are bold, stylish and easy to wear. Throw them over your favourite knits and shirts for a look that’s as cool and relaxed as you are. The bomber gives an edge to your casual weekend outfits. Classic colours like navy and black are sleek and versatile, while bright, daring colours make a strong fashion statement. Olive works well with the utilitarian trend and is best paired with dark jeans and sneakers. Whatever your colour preference, the bomber jacket is an effortless way to up your cool factor this winter. Seriously though, no winter wardrobe is complete without a puffer jacket. It does so much more than just keep you warm – durable, versatile and stylish without trying too hard, it’s the ultimate all-rounder. Wear it to the office over a printed button-up shirt with chinos and boots for a smart vibe, or go casual with vibrant shades that give your off-duty look some street cred. Minimal with a strong masculine feel is the best way to describe the ‘It’ coat of the season. Classic, sturdy and good looking, the pea coat will give your weekend wear a pulled-together look, and add a level of polished sophistication to your work wardrobe. It’s no surprise that the denim jacket is a perennial favourite for men and women alike. From cowboy to trucker styles it embodies a spirit of freedom that’s universally flattering and appealing. The best advantage of a denim jacket is its layering potential, allowing you to create multiple looks while keeping warm in casual style.